Gender Blending: Confronting the Limits of Duality Research Papers discuss the attitudes of masculinity, and four figures that have these attitudes. 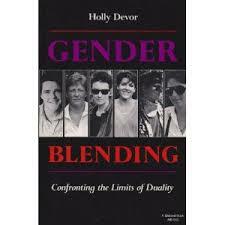 Paper Masters will custom write a book review on Holly Devor's Gender Blending. If you need Gender Blending used as a reference in your research paper, our writers will gladly include Devor's book as a reference and cite it within the body of the project. In her book, Gender Blending: Confronting the Limits of Duality, Holly Devor outlines the four characteristics that make a man masculine, or the "attitudes of masculinity." Conscientiously avoiding anything associated with femininity. There are many men in the United States today who are widely admired in American culture who strongly exhibit these attitudes of masculinity. This paper will discuss six of those men and how their accomplishments and personas have established them as popular masculine figures in our society. The first man who qualifies as a popular, masculine figure in our society is President George W. Bush. By obtaining the office of the president, George W. Bush has achieved the highest status possible not only in his social group, but also in the nation. President Bush exuded confidence and self-reliance throughout his campaign for presidency, often citing his past accomplishments as proof of his leadership abilities. Since the terrorist attacks of September 11, 2001, President Bush has revealed a more aggressive nature towards punishing the individuals responsible for those attacks, and has declared war on any country that supports terrorism or harbors terrorists. His attitude that a country is either with us or against us has show President Bush in a more aggressive and somewhat violent light. Finally, President Bush has a history of working in more "masculine" industries. His work experience before becoming Governor of Texas and President of the United States was in the oil industry and in professional baseball. Thus, President George W. Bush clearly qualifies as a popular masculine figure in American culture. A second masculine personality popular in American society is Clint Eastwood. Most famous for his acting roles, Clint Eastwood has won the respect of both men and women for his talented acting. He is considered one of the most legendary stars of his time, both for Oscar-winning acting and directing. Clint's self-confidence not only helps his career, but also prompted him to run and be elected to the office of mayor of Carmel, California. The roles that Clint Eastwood has chosen to play throughout his have been loners, sometimes cowboys, sometimes police officers, but usually with a propensity for violence. These tough roles have established Clint as a man's man, someone who doesn't flinch in the face of danger. These roles have also associated Clint with the traditionally masculine pursuits of being a cowboy or working in law enforcement. For Clint, his career and his personal life have combined to make him a popular masculine figure in American Culture. In-Group and Out-Group - In-Group and Out-Group sociology research papers on social stratification are custom written research on in-groups and out-groups in society. How Society Depicts Arabs as Terrorists - How Society Depicts Arabs as Terrorists Research Paper delves into a sample of a paper ordered on what made Americans attitude change on Arabs. History of New York City - Through the story of one of America's earliest tabloid murders, we see the blending of sexuality, gender roles, and class distinction in the Big Apple. Killing Rage - Killing Rage Research Papers delve into the issue of civil rights for African Americans. Gender Issues - Gender Issues research papers discuss the political topic as women still face discrimination and inequality in todays time. Order a research paper on gender issues from Paper Masters. Women in Medieval Literature - Women in Medieval Literature research papers analyze the women from Sir Gawain and the Wife of Bath. Cultural Literacy - Cultural Literacy term papers examine how cultural literacy is the information required to carry on intelligent, relevant conversations with the people. Analysis of the Grotesque - In-Group and Out-Group sociology research papers on social stratification are custom written research on in-groups and out-groups in society. Paper Masters writes custom research papers on Gender Blending: Confronting the Limits of Duality and discuss the attitudes of masculinity, and four figures that have these attitudes.